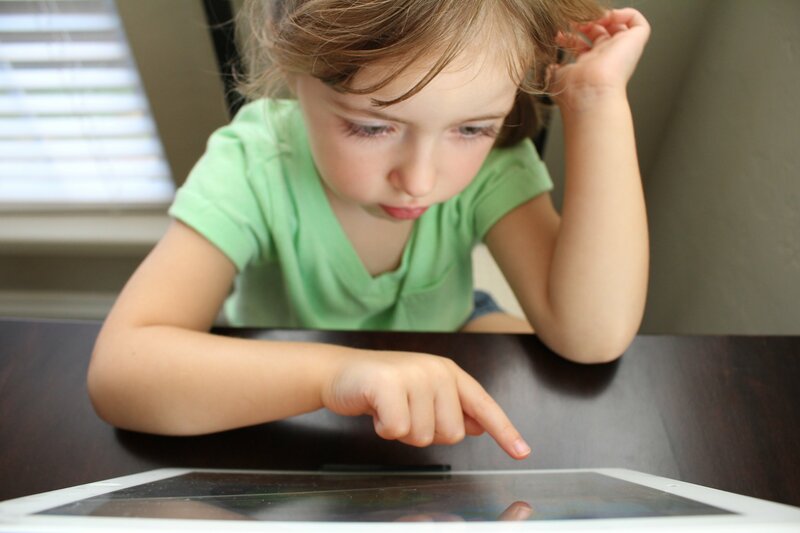 Learn how to diagnose ADHD symptoms in children, toddlers, and preschoolers. Through interviews and specialized behavior rating scales, it's fairly easy to get an idea of whether you may need behavioral intervention for your child. The best types of screening will involve gathering information from all of those that interact with the individual to get a well rounded assessment. A thorough screening is especially important because you want to be sure before going ahead with any type of treatment. The side effects of ADHD medication can be very alarming especially if it wasn't necessary to be used in the first place. If you do feel intervention is required, I always recommend natural alternatives to stimulant medications first as well as ruling out any possibilities of a misdiagnosis. There are lots of different options today involving behavioral treatments, integrated listening therapy, and occupational therapy that can help children overcome symptoms without the need for stimulants. Prior to going to a doctor or scheduling an expensive appointment with a specialist, you may want to gather information yourself first. This will not give an official diagnosis, but it will help you to determine if that is needed. You definitely don't want to waste type going through hours of unnecessary assessment. Start by downloading my free checklist and having your child's teacher fill it out along with anyone else that may frequently care for them. This allows you to get a better idea of what signs they may be displaying in a variety of environments. Instruct them to look at each line and determine how often those behaviors occur. Six or more symptoms that occur often or very often in each section definitely indicate a need for further evaluation. After they have filled them out, based on their answers, you can use this to take to your doctor. You can also take this free test yourself based on your own experiences to get a better idea if symptoms worth investigating, but it's highly recommended to also have teachers fill out the checklist above since you may not be aware of things going on in school. You simply answer each question and a recommendation is made on what to do next! After you and caregivers/ teachers have determined it's important to continue with getting a diagnosis, you will need to visit a specialist. This may require getting a referral from your primary care physician. Specialists include neuropsychologists, neurologists, psychologists or psychiatrists. I caution going to a psychiatrist, as the only treatment option they will recommend is medication. Neuropsychologists and neurologists are a great option because they can rule out any other issues that may be causing symptoms. 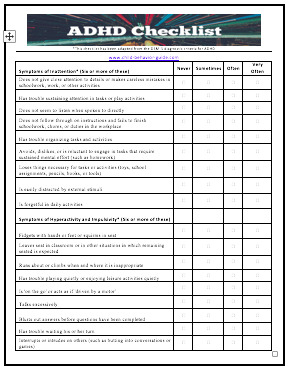 • Additional checklists, such as the Achenbach Child Behavior Checklist. This allows rating specific problem behaviors, social challenges, competencies and emotional functioning. Standardized scores are used to determine if there are clinically significant problems. • Online/ Computer Test - During the screening, there may be computerized tests that assess their ability to pay attention. -	Establish a baseline of symptoms prior to starting any therapy and monitor treatment effectiveness with changes over time. For a child that's having problems in school, you will want to get an IEP - Individualized Education Plan, put in place to provide supports in the classroom that will assist in helping with organization, remembering to turn in assignments or help with test taking. This requires an official diagnosis from a specialist as mentioned above as well as a diagnosis from the school psychologist. They will need to conduct their own assessment of the child, indicating the need for an IEP justifying the services outlined. I will warn it can be difficult getting them to diagnose as this requires them to provide additional services. I had requested one to be done for my son and it took a year for them to complete it. By law, it's required that you send a written request for the evaluation and that it is completed within 30 days. I had to follow up regularly to get this done. You can obtain an advocate if necessary to makes sure they comply. Unfortunately, there is not any type of medical screening, such as blood tests that would indicate the disorder definitively. This is why it's so important for parents to thoroughly investigate all possible causes or potential disorders. As mentioned earlier, you don't want to confuse the symptoms your child is having as treatment options vary greatly depending on the underlying cause. If your child is going through testing, educate yourself with other disorders that often appear very similar, such as sensory processing disorder. This way you are able to make sure to get the most effective treatment focusing on the causes instead of simply masking the symptoms. 1. Conners Rating Scales-Revised (CRS-R). www.psychcorp-pearsonassessments.com. 9-28-10.